At the annual Partners in Caring Awards Gala, we tell The Bridge’s story, honor our awardees’ vital work, and raise important unrestricted funds to support the Bridge programs that enable vulnerable New Yorkers to live with independence and dignity. You can support The Bridge’s work by purchasing tables and tickets or placing an advertisement in the Gala Journal here. We hope you’ll join us for an inspiring evening! 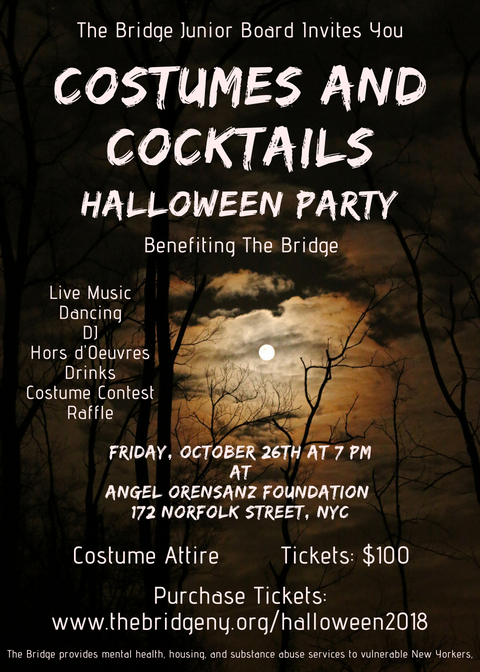 Proceeds will support The Bridge's vital housing and rehabilitative services for New Yorkers with serious mental illness, including the homeless, seniors, veterans, and young adults.